select *, DATE_FORMAT(birthday, "%b %e, %Y") as _birthday, DATE_FORMAT(died, "%b %e, %Y") as _died, MONTH(birthday) as month_birth, DAY(birthday) as day_birth, DATE_FORMAT(birthday, "%b %e") as _birth_day_month from agatti_people where agatti_people.u_name = "irene-dunne"
Shares birthday with George Roy Hill, Charles Grapewin, Mala Powers see more.. 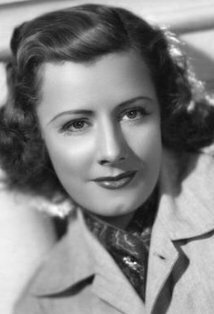 Legendary actress, Irene Dunne, was born Irene Marie Dunn on Dec 20, 1898 in Louisville, KY. Dunne appeared in over 50 film and TV roles. 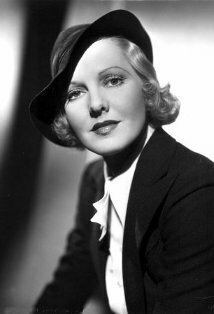 Her best known films include The Awful Truth, I Remember Mama, My Favorite Wife, Penny Serenade, Life with Father, Cimarron, Theodora Goes Wild and Love Affair. 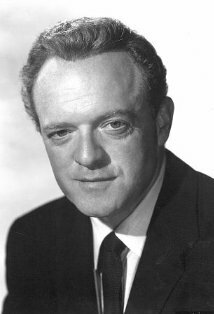 Dunne died at the age of 91 on Sep 4, 1990 in Los Angeles, CA and was laid to rest in Calvary Cemetery in Los Angeles, CA. Irene Marie Dunn was born on December 20th, 1898 to a comfortable middle class life in Louisville, Kentucky. Her father, Joseph, worked as an engineer/inspector on several steamboats while her mother, Adelaide, made her living as a concert pianist and music teacher. Dunne spent much of her formative years with her father, making their way down the mighty Mississippi in the Steamboats her father helped to design. Despite becoming one of Hollywood's leading stars of the 1930s and 1940s, Dunne always remembers her steamboat adventures as the happiest and most exciting period in her life. In addition to her penchant for adventure Dunne also showed an early talent for music, a talent heavily fostered by her own musically inclined mother. From an early age Adelaide couched her daughter with voice and piano lesson. By the time little Irene was five, the precocious young girl had already made her stage debut in a local production of Shakespeare's A Midsummer Night's Dream. When Dunne was just nine years old, her father passed away. The family then relocated Adelaide's hometown of Madison, Indiana. Dunne continued to receive vocal and piano lessons, becoming more and more passionate about the performing arts. While attending Madison High School, she became involved with their theatre department, singing in many of the school's staged production. Dunne was soon able to monetize her talents, earning money by singing at her local church on Sunday's. After graduating high school in 1916, Dunne attended Indianapolis Conservatory of Music where she received a diploma to teach art. She then moved to Chicago to further her career as an art instructor. However, before she could begin teaching, Dunne entered a scholarship contest, winning admittance in to the famed Chicago Music College. After graduation Dunne traveled to New York with the hope of joining the Metropolitan Opera Company as a soprano. Due to her youth and inexperience, she did not pass the audition. Rather than wallow in self-pity, Dunne instead changed her focus and began working in the realm of musical theater. 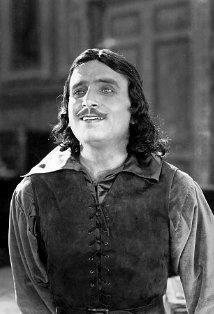 It wasn't long before Dunne was playing lead roles in touring productions. In 1919 Dunne made her Broadway debut as a chorus girl in the serendipitously titled Irene. She continued to work as chorus girl in her next Broadway appearance in the 1922 production The Clinging Vine. The next year she traveled south for light opera opportunities in Atlanta, Georgia. 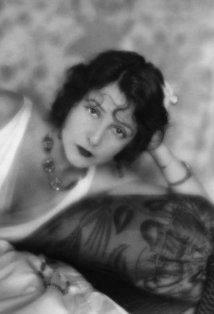 Dunne returned to New York in the late 1920s, containing her work on the Broadway stage with supporting roles in plays such as Yours Truly, She's y Baby, and Luckee Girl. She then was cast as Magnolia Hawks in Florenz Zeigfeld's touring production of Show Boat. The play was a great success and Hollywood took notice of the productions shining star, Irene Dunne. After completing her run with the tour in 1929, Dunne signed a contract with RKO studios and headed west to Hollywood. In 1930 Dunne made her film debut in the musical comedy Leathernecking. The studio was so impressed with Dunne's work that they next cast her opposite Richard Dix in the big budget, large scale western Cimarron. The film was hit with critics, earning seven Academy Awards, including a Best Actress nomination for Dunne. Although the film would win the Best Picture Oscar, Cimarron was not as successful at the box, untimely losing money. 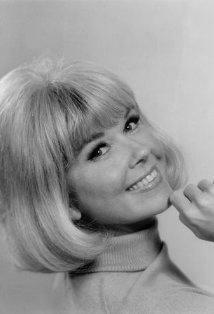 She remained busy at RKO, starring in films such as The Great Lover, Back Street and Thirteen Women. 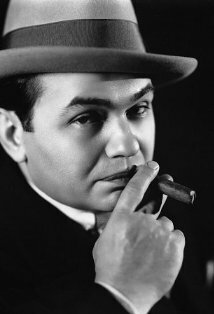 As the 1930s rolled on, Dunne became an increasingly popular at the box office, starring in hits like The Age of Innocence, Roberta, and Magnificent Obsession opposite Robert Tyler. Now the one of Hollywood's fasted rising stars, Dunne starred in two films that would launch her into super stardom. In 1936 Dunne was loaned to Universal studios to star in their large budget, big screen adaption of her most successful stage production Showboat. In the movie, Dunne once again played Magnolia Hawks, slipping comfortably into the role like an old suit. The film was a massive success, with some critics hailing it as one of the best stage to screen musicals of the time. 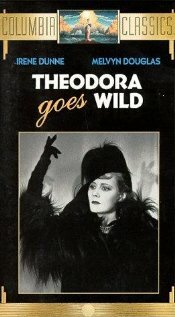 Dunne continued her success as she was once again loaned from RKO to another studios, this time to Columbia for the screwball comedy Theodora Goes Wild. Although initially reluctant to star in her first non-musical comedic role, the film massive success launched a new phase in Dunne's career. Her performance as the secret author of a scandalous novel proved Dunne was just as effectiveness as a comedy actress as she was a musical one. For her efforts, Dunne was nominated for her second Academy Award. After Theodora Goes Wild, Dunne was seen not only as a capable musical and dramatic actress, but a viable comedic actress as well. In 1937 starred opposite Cary Grant in another screwball comedy, this one titled The Awful Truth. In the film, Dunne and Grant play a soon-to-be divorced couple, who are determined to ruin each other's prospects of another relationship. The film was massive hit with both critics and audiences, gaining five Academy Award nominations, including Dunne's third nomination for Best Actress. 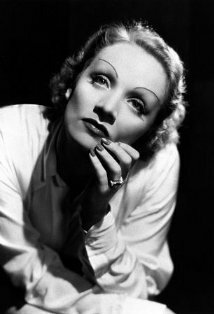 In 1939 she put both her dramatic and comedic actress prowess on display in the romantic classic Love Affair. The film was nominated for six Academy Awards including a forth nomination for Dunne as Best Actress. By the start of the next decade, Dunne was one of the highest paid actresses in Hollywood. In 1940 Dunne reteamed with Grant to star in yet another screwball comedy, My Favorite Wife. The next year, however, Dunne and Grant would collaborate on a much different film, the low-key drama Penny Serenade. 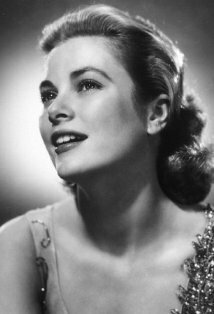 She remained one of Hollywood most in-demand actresses in to the mid-1940s, playing in variety of genres. She continued to star in slew of romantic comedies such as Unfinished Business, Lady in a Jam, and Together Again but appeared in plenty of dramas like A Guy Named Joe, The White Cliffs of Dover, and Anna and the King of Siam. 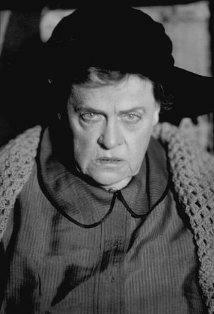 In 1948 Dunne starred in one of her most remembered and best performed role's, as the struggling matriarch of the Hansen family in I Remember Mama. For her fine performance, Dunne was nominated for her fifth and final Best Actress Academy Award. 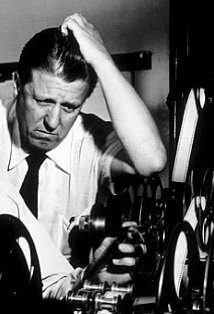 Dunne would only act in three more films, Never a Dull Moment, The Mudlark, and It Grows on Trees before retiring from the movie business in 1952. Although she remained in the public via television through out the 1950s and 1960s, Dunne largely abandoned acting, finding fulfillment and happiness in other areas of life. She began dabbling on the world of real estate as well political, volunteering her time to many republican campaigns. In 1957 President Eisenhower appointed her as an alternative U.S Delegate to the United Nations due to her interest in catholic and republican interests. In 1965 Dunne became the first woman ever to serve on the board of directors of Technicolor. She remained in Los Angles for the rest of her life, living quietly away from the screen. 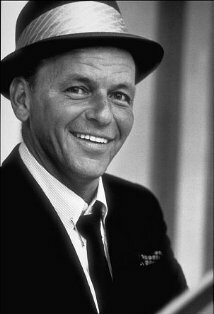 In 1985 the veteran actress was the proud recipient of the Kennedy Center Honors Lifetime Achievement Award. Irene Dunne dies on September 4th, 1990. She was 91 years old. Although Dunne was nominated for five Oscars, she never won a competitive Academy Award. She was honored with one star on the Hollywood Walk of Fame in the category of Motion Pictures. Irene Dunne's handprints and footprints were 'set in stone' at Grauman's Chinese Theater during imprint ceremony #75 on Jul 8, 1946. Lucy Warriner: Well, I don't want to be rude, but, ah, may I have a drink. Lucy Warriner: I had three or four before I got here, but they're beginning to wear off, and you know how that is. Ellen Wagstaff Arden aka Eve: You sure you don't love her? Ellen Wagstaff Arden aka Eve: Oh, go on, I bet you say that to all your wives. Paula 'Polly' Wharton: Old? Max, that over-21 business is a lie, like the one about you can't teach an old dog new tricks. The fellas who spout lies like that don't think the world ought to change either. It's too old a dog. President Dwight D. Eisenhower named her an alternate delegate to the U.N. General Assembly in 1959. Dunne had actively campaigned for him in the 1952 and 1956 presidential elections. After being nominated 5 times for the Best Actress Oscar and never winning, it was hoped by many that she would receive an honorary award after her retirement but the Academy (for reasons best known to itself) failed to present one. Christened the Mark Twain stern-wheel riverboat at Disneyland, July 17, 1955.